We at one time had the exact kit in the yarn shown to make these mittens but alas that sold out a while ago. 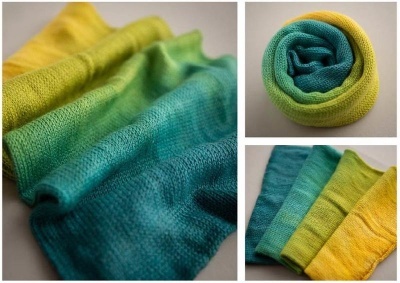 But we think the design itself is worth offering and so here is the pattern for these lovelies. 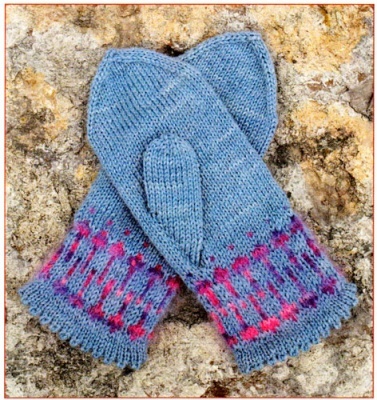 The mittens also have a picot edging and a simple, yet elegant pattern. 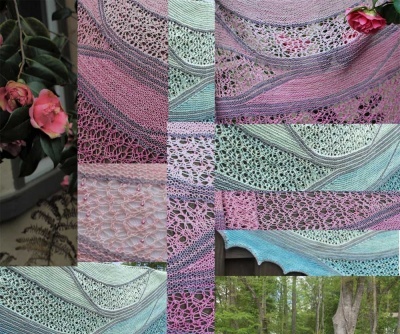 All that is needed is about 275 yards of a delicious sport weight yarn in a solid or almost-solid color and about 50 yards of a variegated beauty for the trim. Real luxury in a small package.